A bit of a departure from knitting today…a little Halloween craftiness! 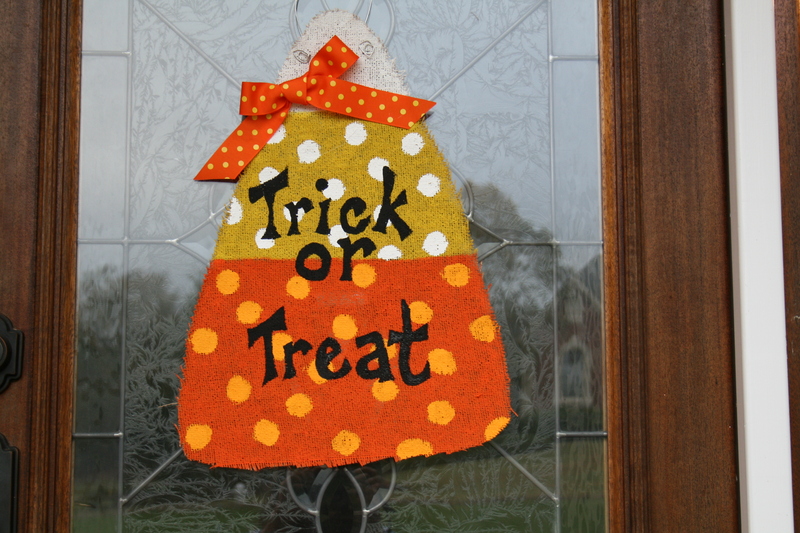 A friend from my knitting group mentioned making some etsy-inspired burlap Halloween decorations. Cute, right? Here’s my completed (but still drying) version. It’s not weather=proof so I’ll probably wait until Halloween to hang it on the front door. I’m already thinking about a pumpkin for the rest of autumn and maybe a Christmas tree for the holiday season. I still have enough of my on sale for $2.98/yard burlap to make both and there’s probably enough acrylic paint leftovers from the kids’ projects. What other crafty things are you making? Share here!